Spanish True or False Quiz about Earth Day. Actividad de Verdadero o Falso acerca del Día de la Tierra. 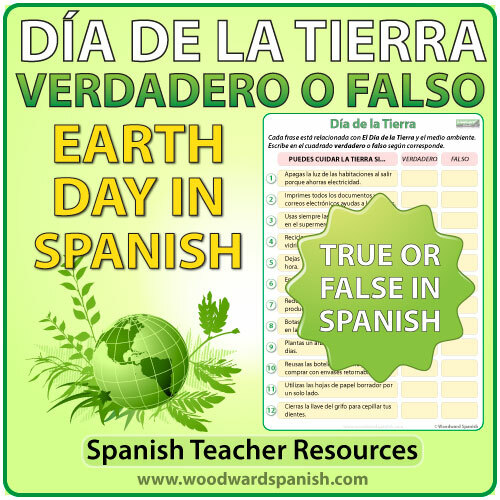 True or False activity about Earth Day in Spanish. There are 12 statements about Earth Day (el Día de la Tierra) written in Spanish. Students must decide whether those statements are true or false. The top of the worksheet starts with Puedes cuidar la Tierra si… (You can take care of the Earth if…) and then the twelve statements appear. This quiz is completely in Spanish without any English on the worksheet. Includes an answer sheet that students can use to check their own work. Hay 12 oraciones relacionadas con el Día de la Tierra. Los alumnos tienen que elegir la respuesta correcta marcando verdadero o falso. 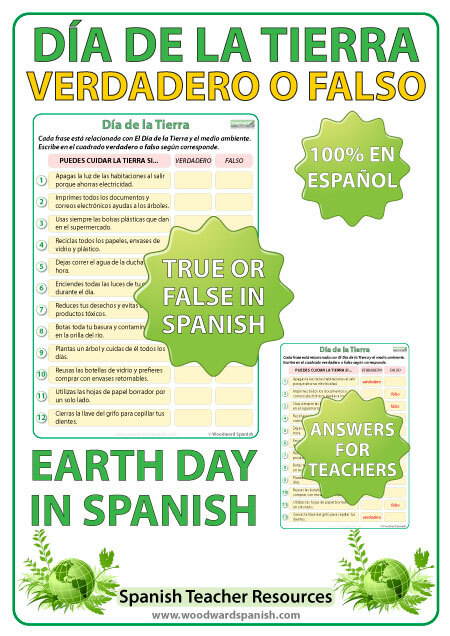 Be the first to review “Spanish Earth Day – Verdadero o Falso” Click here to cancel reply.